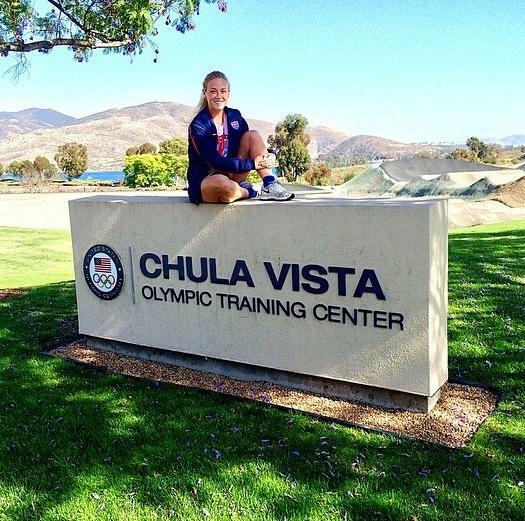 Rising sophomore women’s soccer player Shannon Horgan is recently back from a week-long trip to Chula Vista, Calif. where she trained with the U.S. Under-19 Women’s National Team at its training camp at the U.S. Olympic Training Center. Horgan and the other 23 players in attendance spent the week training with the team that will attempt to qualify for the 2016 FIFA U-20 Women’s World Cup in Papua New Guinea next year. ClemsonTigers.com recently caught up with Horgan when she returned from California. Q. How did you find out you were invited to attend camp?A. I had been home for a few days and got a phone call from Eddie (Radwanski, Clemson’s head coach). I thought he was calling to talk about school, grades or just to check in. Instead, he asked me if I had gotten any phone calls lately. I said no, and he proceeded to tell me that sometime that week I would be getting a call inviting me to the U19 National Team training camp in California. I was home alone and was in shock. Right when I hung up the phone I grabbed a couple of soccer balls and went to the field. Q. How many days were you in California at camp? 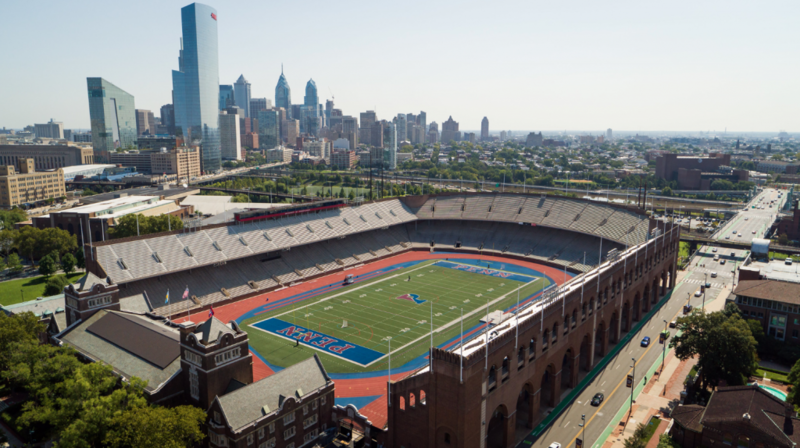 Tell us a little about the city and the training facility.A. I was at the Chula Vista training facility for seven days. It’s about 30 minutes from the San Diego airport and is surrounded by a lake and beautiful mountains. It’s a facility for multiple sports, so just walking around I saw volleyball courts, tennis courts, dirt bike complexes and field hockey fields. We were assigned to mini condos that were very nice and the food there was amazing! Any and every kind of food you could think of was there and available at any time we wanted it. We only left the facility a handful of times, but the town around it is filled with restaurants and gated communities. Q. What was a normal day like for you at the camp? A. A normal day began by waking up around 8 a.m. That was not problem for me because of the time change! After that, we went to breakfast at 9 a.m. and that was usually followed by a team meeting to cover goals for the day and discuss what we’re looking to accomplish in that practice. We would go out to the field around 11 a.m. and training varied each day. Practice usually finished with a full-field scrimmage. Following practice, we would eat lunch and have some down time to hang out with each other or take a nap. Our next practice was at 5:30 p.m. It was usually a little lighter and focused on specific positional work. We would go straight to dinner and then have time to shower and hang out. At night we usually had a meeting around 8 p.m. We discussed certain things we needed to work on and also had a couple of guest speakers come talk to us; one was a nutritionist and another was a blind Paralympian (Lex Gillette). That was definitely an experience I’ll never forget! Q. The coaches had you playing as a defender at camp, when you played forward all year at Clemson. What was it like to switch positions and what was the biggest challenge? How quickly did you catch on?A. I was actually recruited to play at Clemson as a defender. However, I am the type of player that loves to have the ball and take people on, so at Clemson, left forward was the best fit. Growing up I played left back a lot and I still love that position. I hadn’t really played it in awhile, which was nerve racking, but the concept of playing as a defender came naturally to me when we started scrimmaging. I caught on quickly and didn’t think about it too much. At left back I played a little more conservative and safe, but I also got down the line as much as I could to help attack. Defending-wise, I just kept reminding myself that as a defender you can never let both your opponent and the ball get by you, so if one of them beats you, just aim to stop the other.Q. What was it like to play with the most talented girls in the country?A. It was definitely an experience I’ll never forget! Many players at the camp have been playing with the national team for awhile, so coming in at an older age for the first time means you have to prove yourself from the start. All of the players were unique and very talented. I learned from them and tried to pick their brains with questions as much as possible in order to learn from their experiences. Also, off the field, my teammates were awesome! Everyone was friendly and welcoming. You can tell there’s a family culture there and that’s what makes the team chemistry so strong. Q. What was it like to be led by such amazing coaches? A. Before I even met the coaches, all of the players kept talking about how awesome the coaches were, so I was so excited to meet all of them! After our first practice, you could already tell that every coach, trainer and manager genuinely cared about every player and wanted to work with every single one of us on what we needed to do to improve and become the best we can be. The coaches were very positive and recognized the players all the time for doing something positive. It was the type of environment that if you messed up, you were able to move on and forget about it, because the coaches understood that mistakes were going to happen, but you were at national team camp for a reason. Q. What lessons or words of wisdom will you take away from this experience?A. I’d have to say I learned two main things at the camp. One is that you can’t give up! There is so much inside you, and you’re going to have to dig deep and believe in yourself. If you keep working as hard as you can on your own or with your team on and off the field, when your opportunity comes, everything will come easily to you. The second thing I learned, or was reminded of, was that you have to play for the love of the game. Don’t play for the crowd or for people that don’t believe in you. Play for yourself and because you love soccer! At this level, playing a sport is demanding and it feels like a job sometimes. You sacrifice a lot for the person next to you on that field. Sometimes you lose sight of why you’re mentally and physically sacrificing yourself every day to play a sport. But then when you think about how much you love the game and remember how it’s literally a piece of you, everything becomes worth it. Q. What did you learn that you can take back to Clemson with you? A. I actually found it funny that a lot of the drills we did at camp were similar to ones we do at Clemson! Aside from that, I learned that repetition helps you become a better player. For example, I need to work on shooting with my right foot, and the best way to do that is to take a couple balls and shoot the ball 100 times with my right foot over and over. I also learned that speed of play is a huge factor in attacking. Our coaches would always remind us that the quicker we moved the ball, the better we would be and the more chances we would have. Q. What kind of fun things did the team do for team building, community service or fun? A. We went to the USA women’s national team’s game vs. Mexico. It was a game I will never forget! We also spent one morning having a beach volleyball tournament. We were able to design our own t-shirts and it was funny to see every team’s logo…people got very clever! Some of the names were The Beaches, The Abusement Park, and Kiss My Ace. It was a lot of fun to let loose, have a good time, and just get to know each other better. The coaches also played with us, which was even more hilarious because they were diving everywhere! We ate every meal together and went out to dinner one night which was a good bonding experience. In our meetings, on multiple occasions, we had discussions about things we could work on and things we did well. We even made posters and shared them with each other. Q. Where do you go from here? What will you continue to work on get better?A. In order to prepare for our fall season at Clemson and potentially get invited back to camp, I will be working on my fitness. That is definitely my No. 1 goal. Aside from that, I will be playing with a Long Island women’s team, and I’ll be kicking it around alone or with friends as much as possible just to keep my foot on the ball. Q. What’s the next step in this process? How many people were invited to camp and how many make the official team? When will you know?A. We had 24 players at this past camp. The national team cycle is always changing. There are players that have been invited back for years and then are not invited back without an explanation. There are also players like me who have been at one camp and are just hoping the coaches saw enough talent and potential to get invited back. You have to take it camp by camp because there really isn’t an official roster at the moment.